New lifts and piste developments will grace Morzine over the next 20 years. The traditional market town is part of the Portes du Soleil ski area and a speedy lift, known as the Express Morzine Avoriaz will whisk skiers from the centre of Morzine to the Prodains gondola lift in less than 20 minutes, making the resorts easily accessible for skiers and snowboarders wishing to explore more slopes. Morzine is a resort located in the heart of one of the most extensive ski regions in the Alps – Portes du Soleil. It’s one of the closest major French resorts to Geneva airport and boasts over 650km of marked ski runs which makes it great from beginners to advanced skiers and snowboarders. 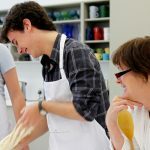 The town itself is a traditional market town that continues to outdo itself each year and we can see why. 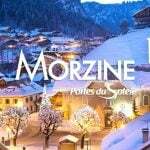 If you’re considering Morzine for your next ski trip, first of all – great choice and second, make sure to read All about Morzine for some inside tips and suggestions for food, drink and more. Let’s go back a few years.. The mayor of Morzine, Gerard Berger has expressed his interest to link both of the resorts together for quite some time and plans are finally being put into action. But lets go back a few years so we can paint a better picture for you. A 30 year deal was signed in 1962 to develop the Avoriaz plateau in to a superb ski resort with great snow and pistes that all skiers and snowboarders would love. This was achieved by opening the original Prodains lift in 1963 (which was updated in 2013), followed by developers purchasing 82 hectares of pasture for just 30,000 Francs and then work for building the resort began. While there are a few ways to get to Avoriaz from Morzine, a direct link just makes it even better. The project Morzine Avoriaz 2020 is sure to pave a way for a better future for both of the resorts. Construction is planned for 2019, kicking it off with the Express Morzine-Avoriaz lift and completions scheduled for 2021. The new development budget is a large €35 million with a further €11.6 million to be spent on surrounding infrastructure. Below we break down the developments that will be put into action for Morzine and Avoriaz. To better connect the new lift station and the Pleney, the tunnel’s moving walkway will transport skiers and snowboarders to the new Express Morzine Avoriaz lift. Overall, the new high speed lift will benefit Morzine and Avoriaz with a much faster connection across the valley, whilst also making it easier for skiers and snowboarders who are staying in Les Gets. Morzine TV published a visualisation of the planned project, we cut out the interesting bit so you can see a short video highlighting the development. You can view the full video here. A total of €147.9 million has been allocated to the piste and lift infrastructure developments within the Morzine ski area, including the huge project ‘Morzine Avoriaz 2020’. But what else will be going on in the ski resort? From 2025 onwards, new lifts and pistes will be created, with both Tour and Choucas highlighted for development. Not only is the resort improving itself by widening it’s ski area to improve skiers and snowboarder experience, but the village centre and the outskirts of the resort are in for some TLC. They will be adding a pavement to the Poute de la Plagne which widens the Route d’Avoriaz as well as creating 600 new parking spaces within a 5 minute walk of the Pleney lift. Morzine will be busy for the next few years developing the popular resort to be better and we’re happy to be able to see it’s progress. In the meantime, if you’ve been hunting for a ski trip to Morzine but haven’t been able to find suitable accommodation as of yet, our catered Chalet Chamois D’or provides stunning panoramic mountain views. Don’t forget to keep up to date with our latest catered and self catered offers either so you can treat yourself! © 2019 Mountain Heaven Blog.